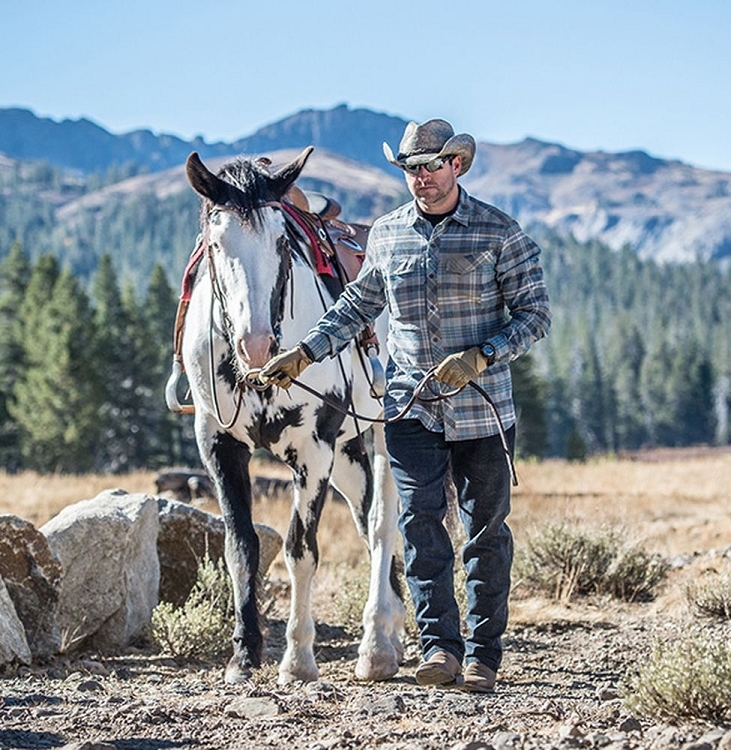 Helikon-Tex Defender Mk2 Pilgrim Shirt®. It’s designed to endure hard environmental conditions while you focus on work or relax in nature. 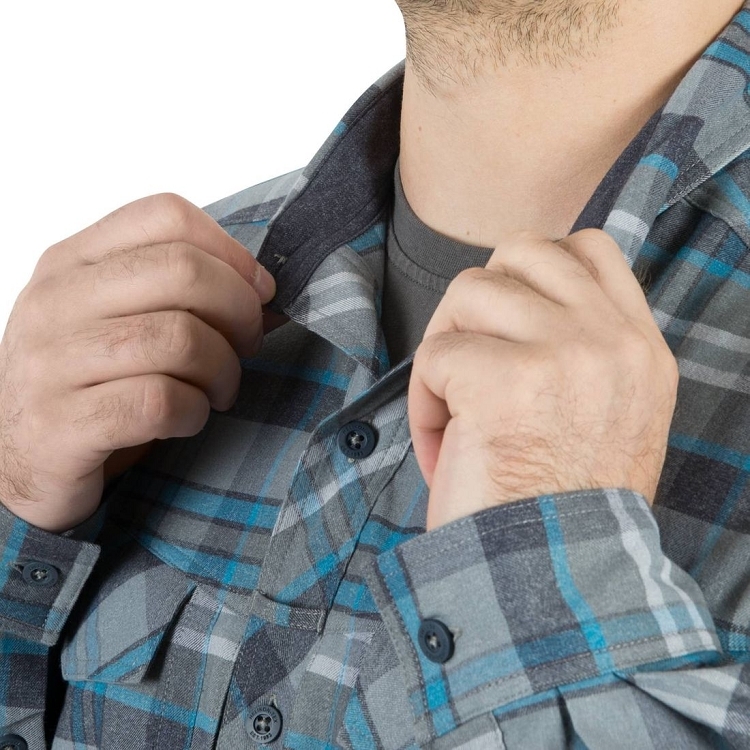 Pleasant to the touch fabric, similar to cotton flannel is extremely comfortable. Made with thicker but still breathable fabric with the addition of DuPont™Sorona®; to avoid odor. Thanks to UPF50, it gives you a proper UV protection. Equipped with durable buttons. On the chest there are two flapped pockets closed with hook&loop tapes. Under them, there are additional flat pockets closed with YKK®; zippers, so they won’t disturb you while you’re lighting the fire. 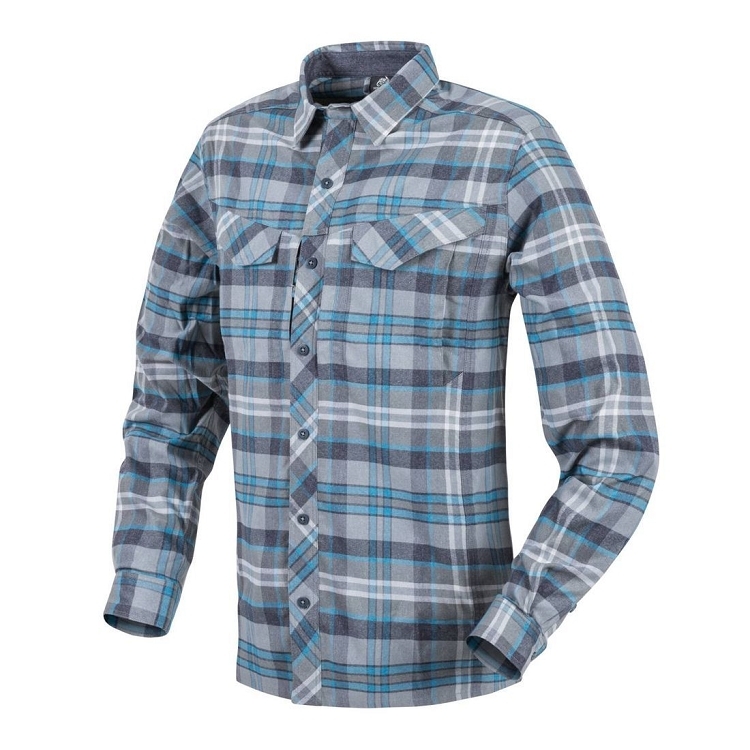 The combination of durable fabric and plaid pattern gives you the certainty that it will serve you for really long time. 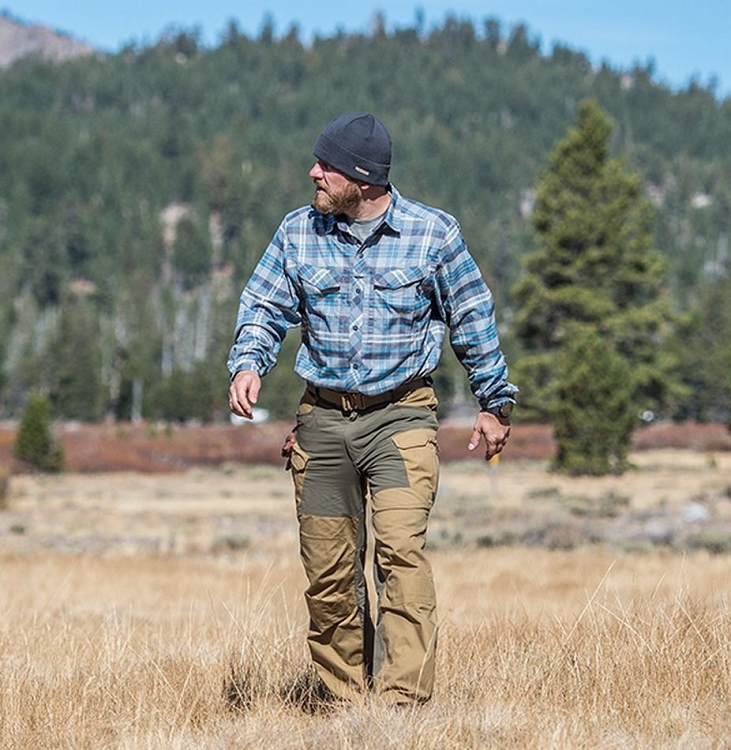 The Pilgrim shirt is surely the toughest of all Helikon-Tex® new shirts.